3 comments | First published July 13, 2018 , last updated April 8, 2019 . Reading time: 5 minutes. There comes a time when your hair is thick and large in volume and you just feel like you want thinning scissors for a change! You want to remove the bulk but also have the exterior of your hair layers blended to give a nice finish. Here we are to give you insight into the best of hair thinning scissors. For barbers and hair stylists, hair thinning scissors are such a handy tool to have. Hair thinning scissors are different from others (like regular hair cutting scissors) as the two blades are different. 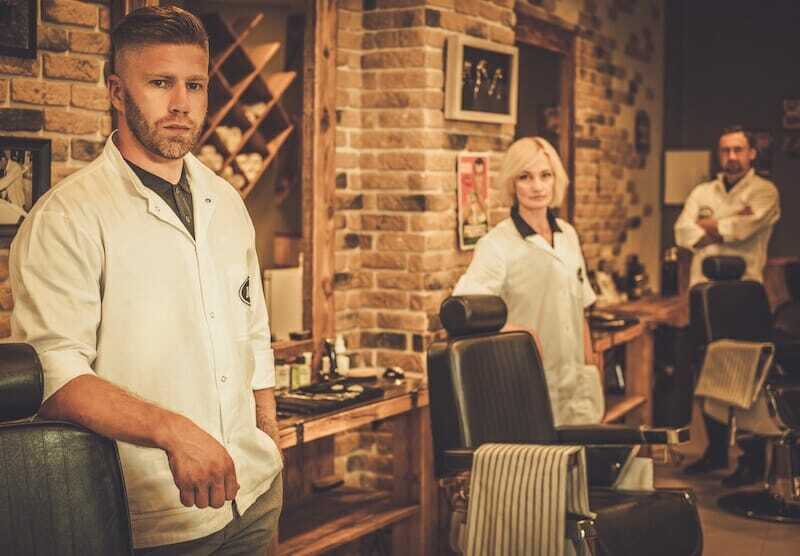 One blade is just like any other normal hair cutting shear while the other has several pieces of teeth (ranging from 7 to 40 teeth) which are good for styling and adding shape to any cut. 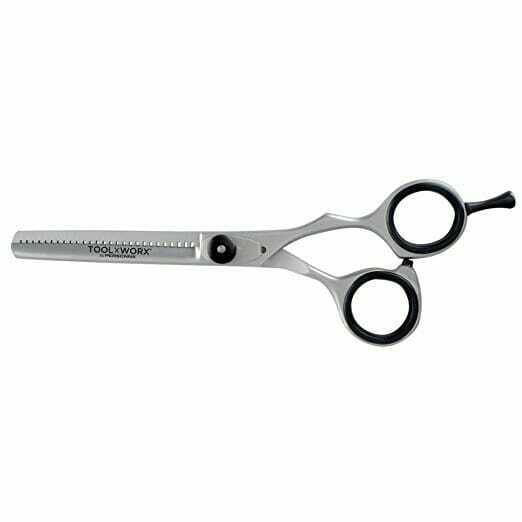 This type of thinning scissors are a great tool to have when compared with the rest in the hair thinning scissors category as they offer an all round performance. With theses thinning scissors, you are able to cut 40-70% of the hair with just one or two cuts. They offer the greatest versatility, texturizing, effectively blending hair and also provide thinning for any type of hair. The average number of teeth is 25 for this type of scissors. These are used to remove chunks of hairs especially for bulky hair and create notches. 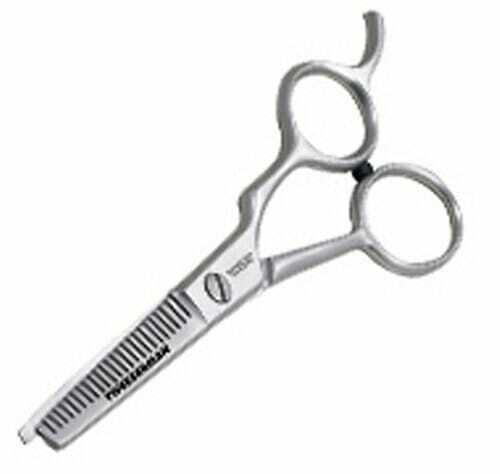 When handling curly and thick hair, go for this type of thinning scissors, they will make your work a lot easier. Their number of teeth range from 7 to 15, they have wider gaps and can remove 40-80% of hair. They remove a lesser percentage of hair and will generally have more teeth than the first two. They are by far the best when it comes to blending and giving a nice finish to any work on your head. If used on thick hair, the stylist will have to make more passes at the hair and the cuts may not be very visible. These scissors come in a good value-price ratio. They are the best professional hair thinning shears on our list and got a good rating in reviews. Main features of these are the removable finger rest and sharp Japanese-made double sided 46-tooth blades. If you’re looking for a serious tool for your salon that will literally last you a lifetime, this is it. At the above $500 price point, these are the monster of hair cutting tools, but worth the money for any dedicated hair artist. They feature a beautiful ergonomic offset handle and blades sharp as a samurai sword. These are winners of several awards throughout the years. American Salon Pro’s Choice (multi-year), Beauty Launchpad Readers Choice (multi-year), Hairdresser Journal Stylists Choice, Canadian Salon Hairdresser Favorite tools, as well as Coiffure de Paris. 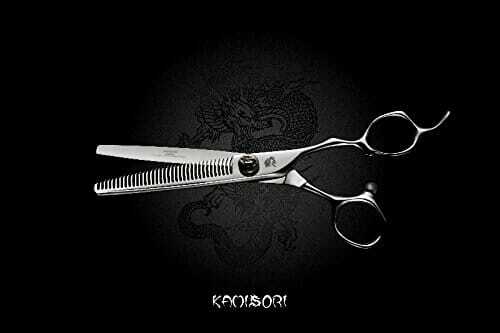 They are literally the last pair of hair thinning scissors you will ever buy as Kamisori offers a lifetime warranty that includes a 1-year drop warranty. Great for advanced texturizing, thinning and blending, super fine teeth will not leave marks or damage hair. Kamisori scissors are all hand made in Japan by senior craftsmen. This thinning scissors rightly found its way to the top in the thinning category. It is stylish and comfortable with your hands. The materials used to make this scissors are great; the stainless steel used is of high carbon grade. It has sharp blades for the razor edge as well as the teeth. It also has rubber inserts that re removable with finger rests that come in a leather carrying porch. The tension between the shears cannot be adjusted with your fingers as there is only a screw that holds the blades together. 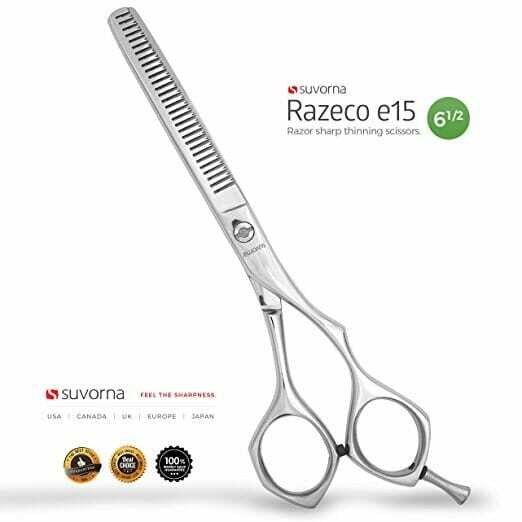 You can use the Suvorna Ador for either professional use or for home use. This shears is one of the lightest as it is simply made with stainless steel and plastic handles. These are our uber-budget choice. These are much cheaper than the rest. See if you can get them as an add-on item. Tweezerman is a popular brand and this is not a mean thing; it means they have been providing quality over the years they have been in the market. It is credited with longevity, quality stainless steel, and good design for ensuring best results. The shears do not have any adjustable screw neither do they have removable finger rubber inserts. 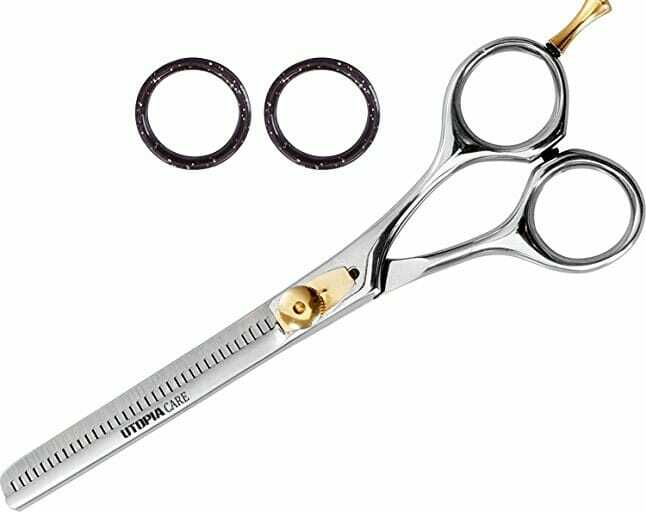 View what the reviews say about these scissors. There you are with so many to choose from; we hope that this article will help you in knowing and selecting the best of hair thinning shears. Let us hear from you which are your favorites! Need some extra hair cutting tools to complete your home kit? Check these practical hair cutting capes.